The Gold Coast Convention and Exhibition Centre (GCCEC) is Australia’s largest regional convention centre, capable of handling corporate and association conferences and meetings, national and international incentives, banquets, exhibitions, concerts, sporting and special events. The Gold Coast has hundreds of events to choose from across free events, food and music festivals, markets, theatre, kid's activities and more. Check out what’s on, click here. 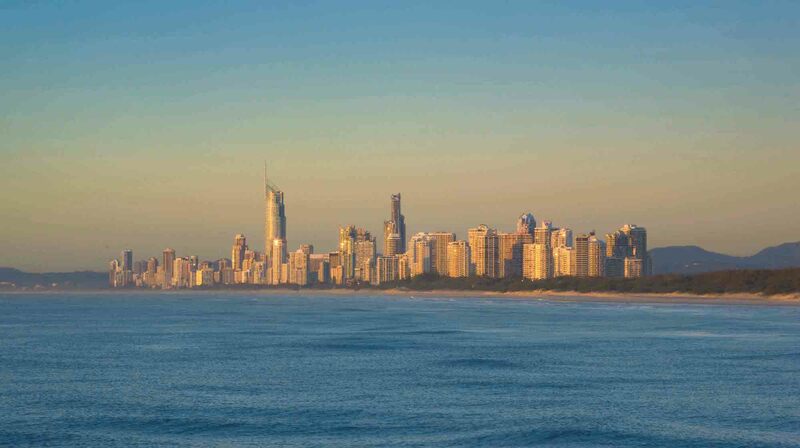 Known for being the city on the beach with truly epic theme parks, the Gold Coast and its surrounding area has plenty to see and do. To extend your Australian adventure, click here. Services are provided domestically by Virgin Australia, Qantas, Jetstar, Tigerair and Airnorth, and internationally through multiple airlines including AirAsia X, Scoot, Jetstar, Virgin Australia and Air New Zealand. Airtrain services run every 15 minutes during the peak hours (and every 30 minutes off-peak) between Brisbane's Domestic and International Airport terminals and the Gold Coast. For APS 2019 delegates, we have arranged a special price of $60pp return for the AirTrain and Tram service (which is combined with the G:link). Gold Coast AirTrain & Tram Terms and Conditions: Valid for travel from 4-14 April 2019. Tickets are non-refundable. Ticket dates can be changed as long as travel is completed before 14 April 2019, after this date the ticket is null and void. Your Airtrain and tram ticket is valid for traavel to and from Brisbane Airport and Ormeau, Coomera, Nerang, Robina or Helensvale station. At Helensvale station you can transfer to the G:link Tram and travel to Parkwood, Parkwood East, Gold Coast University Hospital, Griffith University, Queen Street, Nerang Street, Southport, Southport South, Broadwater Parklands, Main Beach, Surfers Paradise North, Cypress Avenue, Cavill Avenue, Surfers Paradise, Northcliffe, Florida Gardens, Broadbeach North and Broadbeach South tram stations. Taxi - A taxi rank is conveniently located at the southern end of the terminal, outside the domestic arrivals area. Please refer to www.gccabs.com.au for bookings, fares and further information. Uber - If you are traveling to Brisbane Airport you can now request an uberx to get where you need to go. The estimated fare travelling from the airport to the Gold Coast Convention Centre is $129 - $170. Please visit the Uber website for more information on pick up locations how to request your Uber. 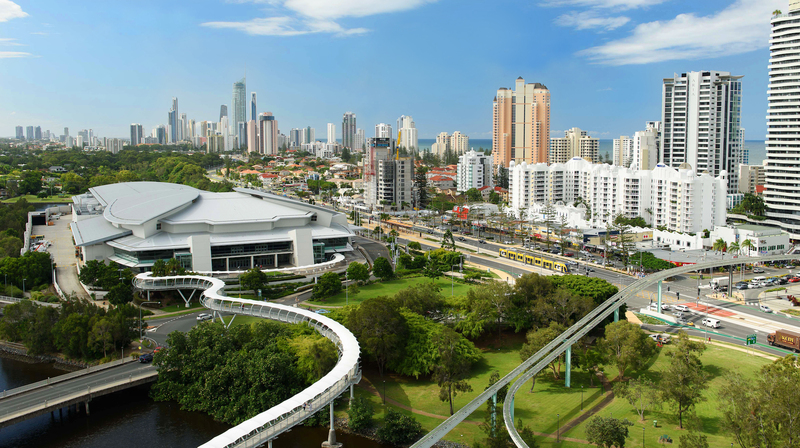 The Gold Coast's G:link light rail system is a 13-kilometre corridor connecting Griffith University to Broadbeach, passing through the key activity centres of Surfers Paradise and Southport. Services run 7-days a week, approximately every 10 to 15 minutes. Daylight saving is not observed in Queensland. The time zone in Queensland is Australian Eastern Standard Time (AEST), UTC +10.